Bouncing up the stairs at Seven Sisters into the dark to be greeted by a flurry of hail, right in the mush. Better than the sudden storm that burst around me as I drove up through Kent, where the road transformed into a snow scene within minutes. This was London hail, damp and cold. In the search for omens at the dawn of a new era in the life of Tottenham Hotspur, it’s an inauspicious beginning. But we’re back on familiar territory, and that’s what matters. We’re late, so a brisk walk is the only option. Same old pavement, cracked and uneven, but no sense of what the traffic or crowds will be like. New signs, diversions, road closures. 50 years and counting now but this is new and unpredictable, so walk, 20 minutes max, probably miss the ceremony but in for kick-off, even if there’s chaos at the turnstiles, because something’s going to go wrong, isn’t it? This is English football, it’s new, electronic, something will go wrong. Up the incline to High Cross. Past the home for Jewish incurables on the left, now flats, and on the right, the first synagogue in the area, now a rundown shopfront. To the left, set back from the High Road, the old Town Hall where Blanchflower and the boys lifted lifted the cup in Double triumph, where the streets were so packed as the team bus crawled past, people couldn’t move even if they wanted to. The night of 27th April 1901 was dry and cold, just above freezing, yet 40,000 people thronged the High Road down to South Tottenham station to welcome home the Flower of the South, Tottenham Hotspur and the FA Cup. No radio or other media, but word spread and the fans came out in the middle of the night to greet their heroes. Then and now, the Hotspur matters to so many. And so we walk these same streets in their footsteps, three generations carry the navy blue and white in our hearts and in our soul. I can’t keep up with my son and granddaughter. Maybe the time is coming to pass the flame on. Not yet, not yet. White Hart Lane, the world-famous home of the Spurs, except it used to be well-hidden. Betraying its origins as a football club embedded in a working-class, aspirational community, the old ground nestled in rows of terraced housing, masked from afar by the higher buildings of the High Road, invisible until you reached the Whitbread Brewery, merely a long Jennings-type punt away. This is different. There it is, squat and skulking, futuristic and alien in old north London. Visible for the rest of the journey, it draws you in, just follow the star. It has presence, and it’s hard to take your eyes off it. This is our future. Gradually it comes into focus. Past the old Mecca ballroom, where the players used to socialise after matches and where the Dave Clark Five packed them in, crowds way over the supposed capacity, swaying, sweaty and Glad All Over. I trust the Palace fans paused for a moment to pay their respects. Past the now defunct bagel bakery (I‘ll never stop grieving), past the shops and signs from many cultures, for whom Tottenham provides a home, just as it did in the late 1800s where immigrants were welcome and formed the community we know today. When people found a home on the terraces at White Hart Lane, where people could fit in and have a cause in common. A former council property is now an art gallery. Who would have thought we would live to see the day. Times are changing in N17. We’re late and that makes it easy. Everyone’s already there, so it seems, and the streets are quiet. My entire twitter timeline has been here all afternoon, anticipating the future by reminding themselves of the past. The same journey, the same pub and burger stall, greeting old friends like Victorian explorers lost in the jungle, now found. A family with three young kids on their scooters, delightedly riding up the middle of the traffic-free High Road. They’re part of it too. We’re dwarfed by the shiny shiny, little people in the street. The same street that fans followed when they wandered down Park Lane to the marshes in the early 1880s because they heard something was happening. And there’s the same reassuring smell, a mixture of onions, beer and anticipation. No queue, because everyone’s already in, everything works. No time for the longest bar or the burnished quartz tofu, or whatever it is. Dash up the few steps and there is the pitch, verdant green, just like I remember it when I first ran up to the very top of the East Stand and looked out, in April 1967. It wasn’t really like that, of course, because then Spurs played on a mudheap, but I allow my memory to play a trick on me. We’re home, and home is the best place to be. I was knocked breathless by this magnificent football ground, at its best in the floodlights, because at night, surrounded by stands tight to the pitch, this is all there is, our world, can’t see out, just this. And I wouldn’t want to be anywhere else. Spurs have never played a home game, other than in wartime, more than about 500 yards from the ground. To stay here is testament to our heritage and a remarkable achievement in itself. Yet at the same time, this is otherworldly, pinching myself to believe this is our ground. The lights are so pinpoint bright, it’s like watching a giant ultra HD screen. The south stand rises endlessly into the sky. The ground is huge and spectacular, yet it feels as if everyone is connected. It leans in with intensity, rather than sprawling backwards. The opening ceremony is mercifully brief. The kids’ choir is sweet and dandy, the fat opera singer who pops up from nowhere a waste of time, someone’s idea that somehow operatic voice conveys a superior culture. He sings ‘glory glory Tottenham Hotspur’, which no one has sung, ever. ‘Hallelujah’ is ours, the only bum note of the night, but then again, football people never, ever understand fans. Then there’s the real noise. That blew me right away at kick-off. I declined the test events. Football grounds are nothing without the fans, so I waited til it was full, and it was worth it. I tried to join in but there was a lump in my throat and tears in my eyes. This is home, this is us, this is my life. The game, oh yeah. At what point did I calm down and think, you know, it’s possible to lose this. Home advantage or not, this is as new to the Spurs team as it is to our visitors. Points of reference, player’s orienting themselves and getting their bearings, these things and more contribute to home advantage, it’s not just support. Fortunately, Palace obliged with a busy performance devoid of attacking intent. Their first shot on target, a mishit cross, came too late. Zaha looked so dangerous – but that was in the last few minutes when Spurs were two up. I’m not complaining. Spurs dominated without playing especially well and won, deservedly, with two scruffy goals. There were more signs of how Pochettino is trying to make up for the lack of depth in this squad. Here, Rose played wide left midfield in a 4-4-2 (ish) with Dele alongside Sissoko in the middle and Eriksen encouraged to get forward. So he did but it would have been more dangerous if Dele had been on the end of some of the balls into the box. While Rose’s presence gave Spurs an outlet and stretched the Palace defence, his end product was decidedly average. We might see him there on Tuesday to give Davies protection. Last night, the Welshman had a decent game. The first half was all about being there. Thoughts of the table and the top four, 1 out of 15, receded into the night sky. Into the second, and there’s a game to be won. Just as it started to become a bit tense, Palace gave Son too much room on the right. He cut in and his shot took a big deflection. No opening worldies then to go with the might of the stadium. The second was cut from the same cloth. Kane was tackled in the box. Several around me were bellowing for a penalty and didn’t actually clock Eriksen putting home the rebound as the ball squirmed out of the challenge. I thought the ref had given a foul against Kane, as did many others judging by social media, therefore celebrations were muted until it sunk in that he was indeed pointing to the centre circle and just walking back slowly. Kane missed a classic Kane chance, through on goal and leaning back just too much as he opened his body out, but it didn’t look as if we were going to lose this one. A mention for Lloris, largely a spectator but alert when called into action late on, when Spurs looked worryingly fragile at the back. Sissoko was my pick, determined and strong, looking to get the ball forward when he could. It was great to see Harry Winks return, immediately up to the pace. I worry his injury will leave a lasting weakness, but that’s for another day. If you like, finish reading here. This next bit is not so joyful, because there were teething troubles, understandably so. I can’t comment first hand on the concourse problems others experienced, like overcrowding, food running out and the queues for the gents – install troughs FFS not individual urinals (the toilets, not the food outlets). However, in our section, lower shelf level with the south end penalty spot, we saw several heated arguments and a few actual fights because of people standing. This went on for most of the game. I don’t mind standing, but I want to watch the game, not stewards wading in all the time. Others experienced similar issues in the south stand, where many (most?) would expect to stand for long periods, but some fans seemed to want to experience the atmosphere without contributing to it. This is a big problem for stewards who can’t openly allow people to stand because it breaks ground regulations but tacitly allow it to continue in certain areas. The point is, the fans in that section play to the same unwritten rules, not openly stated but understood by everyone who sits there. White Hart Lane was a series of little communities joined together. We all have a similar outlook but behaved in different ways depending on where we sat, rules enforced by peer pressure built up over decades. Now, that’s all mixed up. Bloke a little way in front of me, chatty, not rude to anyone, simply said, ‘I haven’t sat down for 15 years.’ That’s how he watches the game and that’s what he wants for his money. Fine, but many around him brought a different set of expectations. That is, if you want to stand, go in the Park Lane, that’s why they got tickets on the side. WHam had the same problems in their first season. It took a while to sort out. One difference is that at their place, it was easier to change to seats, whereas Spurs said they would not allow any changes in this season at least. Over time, it will work itself out and new norms form. Meanwhile it could be painful. Time to get to know the neighbours, I reckon. I had to finish off the small section of fencing that needed repair, apparently, although to me it still fulfilled the basic requirement of a fence, namely a barrier between next door’s garden and ours. So I missed the first ten minutes. I don’t like gardening. It’s a chore rather than a pleasure. Many extol the virtues of being outdoors, surrounded by the relaxing sights and sounds of nature, toiling the soil, turning the sod, but it’s not for me. No, I prefer a Sunday afternoon skewering my heart with twin barbs of hope and crushed ambition and corkscrewing my guts into a tormented helix of anger and frustration. Lead me to the cliff edge, tease me with an ebullient comeback, then for good measure chuck me off the precipice onto the rocks below. This one hurts not just because Spurs came so close but because defeat was utterly avoidable. Moments. Football memories are a collection of moments upon which matches, and seasons, turn. In this case, we must begin at the end. Spurs were bad, Spurs were good, in the end there was a moment. Lloris, captain, mainstay, World Cup winner, moves to his right with ease towards a soft Salah header, minute left, maybe two at the most. Two hands. Spurs are defending against Liverpool’s late onslaught that was more desperate than cogent. This to mop up the remnants of a set-piece. Steady, delay, keep the ball, whistle. Instead of catching it, or pushing it forcefully away, he – he doesn’t do much, except bobble it feebly in front of him, where Alderweireld is covering. Hits Toby’s knee, and in. Caught in two minds, he didn’t seem to know whether to catch it or push it out, as is the fashion these days for keepers. Catch was the right option but Hugo’s indecision caused a calamitous, sickening error, which could cost us more than 3 points. It leaves us on a run of 1 point from the last 15. We had regained our momentum after an excellent second half, under pressure amid a febrile Anfield atmosphere. This was the boost we needed, matching title contenders. Instead, it sucked the life out of us. It jeopardised our top four spot. It reminded us of a telling weakness in the side – if your skipper and keeper caves in under pressure, it’s no example for the rest of the team. I like Hugo, he’s made mistakes before but they have been exaggerated at times and his balance sheet for me is in the black, but this was a shocking error, at that point in the game, at this point in the season. In the first half, Liverpool ruthlessly, gleefully exposed our problems in central midfield. Width plus running into channels laid a minefield of indecision for our 5-man defence. Stay back, come out – either way we were exposed. Liverpool are so good when they play like that, mind, let’s not forget that. Relieved it was only one at the break, partly because Poch belatedly dropped Moura back to elasticize our narrow midfield into a four to limit the danger out wide. To their credit, Spurs lifted themselves after torrid periods in the first half and could have won, let alone take a point. We looked comfortable attacking, happy to be on the front foot and taking advantage of the space Liverpool conceded. Some of our football was a delight to see, especially after Son came on. Kane, getting little out of Van Dijk, became provider, dropping deeper to allow Son and Moura to push on. His quick free kick was a game changing pass wide to Trippier. Eriksen half-hit a pass across the box but it came to Moura who banged it in. The Brazilian had a good game, energetic and willing in a number of positions between midfield and attack. His pace and control comes into its own when he has space in front of him. And there are other moments. Two against one, and one of them is Sissoko. He’d had a better second half, able to drive forward with power rather than be pinned back in an unfamiliar role. Clean through thanks to Son’s impeccable pass, settled on the ball, left foot and, well you knew where it would end up. What a waste. There’s another reason this one hurt (more pain, I have it right here for you. One benefit of working from home is that on days like these, I don’t have to talk to anyone). To get where they are, Spurs have over-achieved but there is no denying the chronic shortcomings in the squad, laid bare in matches like this, flat out, toe to toe against the top teams, a fraction from victory. We’re taking on the best with no defensive midfield. A couple of injuries, in this case to Dier (who never should have started for England) and Winks, leaves Sissoko, bless him, on his own, trying his darnedest in unfamiliar territory. Wanyama is finished, I’m so sad to say, Skipp’s not ready, otherwise nothing. To their credit, Eriksen, Dele (ran 13.2k apparently) and Moura worked hard but it’s not their game. Any manager has a limit if the players aren’t good enough or he doesn’t have the right players for his needs. How many windows? We’re trying to be contenders, for goodness sake. The team’s getting old, we need upgrades anyway, others like Eriksen may leave. Perhaps now we need a new keeper too. To repeat something I said at the time, Hugo’s drink driving offence must have affected him. Getting behind the wheel was a fundamental error of judgement. Perhaps there’s something else that led him to be in that state in the first place, we’ll never know, but a keeper with flawed judgement is lost. These shortcomings are a snug fit to the ‘Spurs as bottlers’ narrative, which will be thrown at us if we don’t end up in the top four. It’s not the whole truth. Closing games out is a necessary attribute of all top sides but lately we’ve lost that hard-won resilience. Where we used to score late winners, now we’re conceding, avoidable goals at that. Burnley, Southampton, now this. Before the break, the players looked physically and mentally jaded, wedded to familiar patterns of play that opponents have become wise to, devoid of creative inspiration to produce something new, prone to late errors. The team seem at full-stretch for many recent games, even the victories. The strain of plugging gaps, especially in centre midfield, key players like Eriksen who are not quite there, exposed full-backs (Souness when asked why Trippier didn’t come out to prevent Robertson’s cross for their first: “because he’s not a very good defender”) and the injuries have all taken their toll. They appeared weary, the exception being Dortmund, where we raised our defensive game to produce a classic European away performance. Perhaps we’ll go back to the 70s and 80s when we lifted ourselves for cup games but were inconsistent in the league. We must look to the new ground to provide the incentive to find our momentum again. Excitement about the opening of the new White Hart Lane (because that’s what it’s called) is building to a crescendo. The test events were tempting but I’ve waited this long so Wednesday will be my first time inside. There will be noise. Let us disregard the fact that the pitch, sightlines etc are totally unfamiliar to the players and anticipate a new stadium bounce, the team inspired by the roars from the stands. To end on an optimistic note, Spurs didn’t look tired and played really well in the second half. Plus, we have five games at home out of the last seven, against teams we should do well against. The whole club must rise up after yesterday and take the opportunity. There are no medals for top four but I need it this season, to help us plan for the next and, above all, just to say we did it. Finish above a couple of our dear rivals. Because we can, because we are good enough. Pride matters. History will have the last word, as it always does, but if Mauricio Pochettino’s managerial career gets any better than this, he’ll have one hell of a life. Whatever he may win in the future, sustaining Spurs in the title race is nothing short of remarkable. I avoid sweeping statements or premature judgements. By nature I am cautious. 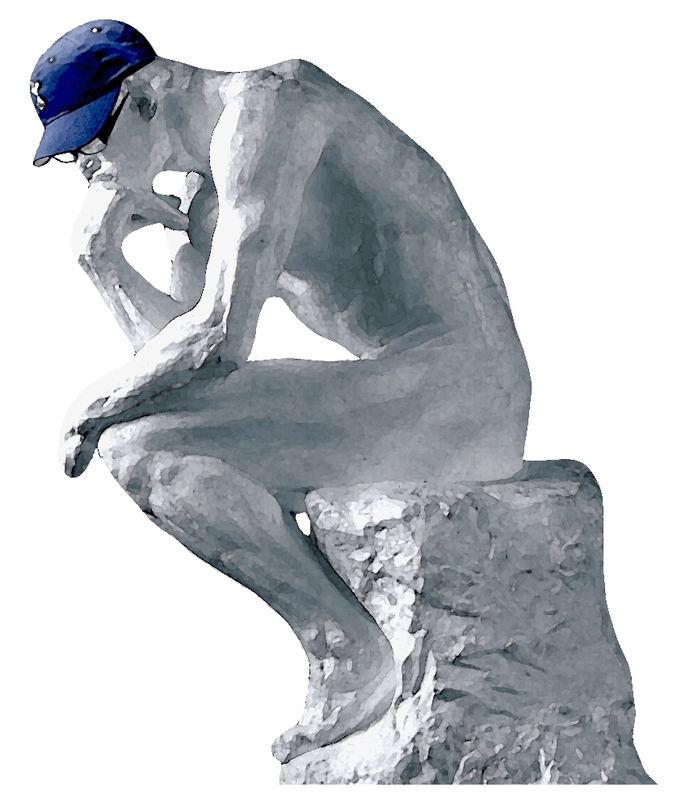 In life as in football my dash towards a conclusion is slowed by the friction of nuance and doubt. With Poch, he’s currently receiving a great deal of credit from Spurs fans and the media, but that’s still not enough. He’s a steadfast, reassuring presence, an anchor keeping us steady during a time of change and uncertainty. The ground’s still not ready, transfer policy lacks purpose or direction and all around us at Wembley familiar faces are replaced by tourists or empty seats. The chairman is content to fade into the shadows, Pochettino steps up and into the spotlight. He has instilled courage and resilience into players who have come to believe they are capable of scoring at any time up to the very final kick. I had given up hope against Watford and Newcastle but the players hadn’t. We’ve run out of defensive midfielders, so let’s concentrate on players who can get the ball and get it forward quickly. Poch turns adversity into strength. And the players. Sissoko, for over two years a waif and stray, who not so long ago approached a football with the suspicion and disdain of a toddler presented with a plate of vegetables, who could eat it but just as easily it could end up all over the place, now a dynamic, muscular deep midfielder. Vertonghen, who at the age of 31 produces against Dortmund the performance of a lifetime in a position he’s actively avoided. Son, who has played for about 18 months straight, often carrying the burden of a country’s expectations on his shoulders, and has become a better player for it instead of asking for a rest, better because he believes he has a duty to be the best he can be for his club and his country. And they say the modern professional doesn’t care. At Pochettino’s Spurs, they do. It’s interesting how a few pundits and managers have said our top four rivals have had a bad run with injuries, unlike Spurs. It’s foolish but in reality, a compliment to players and managers that they haven’t noticed our absences. Injuries. An absence of squad depth and player investment, the latter in stark contrast to our competitors. Playing every match away, when in the last season at the Lane we were unbeaten. Often a lack of atmosphere. These things are being said so often, they are in danger of becoming clichés, but their significance cannot be discounted. These are the disadvantages Poch deals with before he begins each day. Pochettino and his team fashioned one of the great European nights against Dortmund with a second half performance that’s up there with anything I’ve seen Spurs produce in Europe since the late sixties, save the first half versus Feyenoord in 83. The first 45 minutes set the scene – tight, tactical and full of tension. Half-time was spent muttering about how we couldn’t see a way out of this impasse. But Poch could. Vertonghen’s run and cross emerged from the dark depths of inertia, Son’s volley shimmered under the lights and Wembley shook. An unforgettable moment. I hope the latecomers who missed it enjoyed the popcorn and doughnuts they proudly clutched as they straggled to their seats. We pushed up, just a little but enough to make a difference. Poch went for it, going for the other lot, not waiting for them to die of boredom. I followed Aurier’s cross, didn’t see that Vertonghen was there where he had no right to be, to get on the end of it. Out wide, he saw the game ahead of him, went for the space and moulded it to his wishes like a sculptor creates beauty from a lump of clay. And for goal celebrations, less is more. Pochettino inspires his players to believe they can be better than they ever thought they would be. They don’t stop and are resilient enough to battle back when games seem lost. More than that, under pressure, knackered, running on fumes in front of our eyes, they keep thinking, keep being creative. Anyone who has done any work, of any type, when tired knows that is the most difficult feat of all. However, Spurs’ recent success is more than that. Pochettino has upped his game too this season. Developing his in-game intelligence, he makes better use of substitutions and changes tactics mid-game, often several times a match. Given the limits of his bench, that has made a huge difference. But no silverware. It’s a genuine shame, and at times I feel like celebrating the heady days of finishing top of the London Combination. It’s tough. Our points total might have won the league on several occasions in the last decade, but competition is fierce. Here’s the thing though. I spend time talking with fellow fans about what it means for them to be a Spurs fan. A lot of this made its way into A People’s History of Tottenham Hotspur, some is for some research I’m doing. 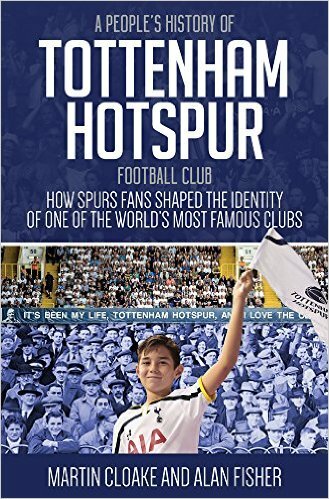 Ask people what being a Spurs fan means for them, and they talk first about how it is part of them, their identity, who they are. Being Spurs runs deep. They talk about their pride in being Spurs, even if they aren’t happy with the way the club is run, and the experience of being with fellow fans to get behind the team, whether this be in the ground or as with, say, US based supporters, in the pubs they’ve made their own. In the place they’ve made home. It’s the experience they talk about, who they go with, the faces (seldom names) they met along the way, their pre- and post-match routine. They speak fondly of the memories, the moments that lifted them from their seats, 30 or 40 years ago sometimes yet they feel it as if it were yesterday. It’s only then that that fans mention trophies. I’ve talked with perhaps 30 or 40 supporters, for extended periods. Nobody says, I’m a Spurs fan because I want to win something and all my memories are worthless because in the 21st century we’ve only won one League Cup. What Spurs fans want first and foremost is pride and dignity in their team. This why so much twitter fan dialogue is instantly disposable. Being a supporter is not primarily about winning things. It’s about loyalty, about caring whether you win or lose. Success is a bonus. Anyway, playing the Pochettino way is the way to win something in the current era. It’s not one or the other. Managers are football tourists. They come and go, although sometimes they don’t stay as long as they might like. Pochettino understands the club’s heritage. He is not in it for as long as we are, but he’s not using Spurs as a career stepping stone. He’s stayed when others would have moved on, taking their reputation to somewhere with a more generous chairman. His paternal pride in his players is deeply touching in an era where money and greed justify any expediency. In return, they exude the loyalty and the passion we fans take pride in, which is why this team are closer to the fans than ever before. The atmosphere against Dortmund was fabulous. The singing lacked variety, though. There’s come on you Spurs and marching in. The third big chant on the night was Mauricio Pochettino’s name. That’s how much he means to Tottenham fans. He cares as much as we do.